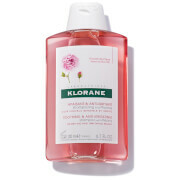 Gently purify hair with the KLORANE Shampoo with Peony; a mild, plant-based treatment that alleviates discomfort and soothes inflammation. Enriched with anti-irritation Peony Flower, the lightweight formula transforms into a refreshing foam upon application to sweep away daily dirt, oil and grime, while working to restore balance to the scalp. 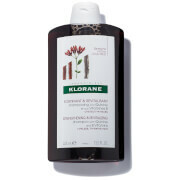 Suitable for daily use, locks feel soft and supple and the scalp feels comfortable and replenished. Ideal for sensitive skin and scalps. Water (Aqua), Sodium Laureth Sulfate, Disodium Cocamphodiacetate, Cocamidoproryl Betaine, Citric Acid, Fragrance (Parfum), Imidazolidinyl Urea, Methylisothiazolinone, Paeonia Albiflora Root Extract, Panthenol, Proctone Olamine, Polyquaternium-10, Propylene Glycol, Red 33 (Ci 17200), Sodium Chloride. I love this shampoo, it doesn't stick to my hair so it's left feeling lightweight but also smells delicious! 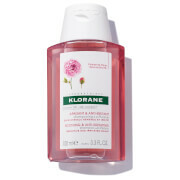 I had quite a sore scalp and brittle hair after trying lots of different shampoos that didn't work for my hair type. This one is lovely and makes everything look and feel a lot calmer! Would definitely buy again.